we have mickey, hello kitty and flower three fashion looks for choice, hope can bring patient fun and happynese. 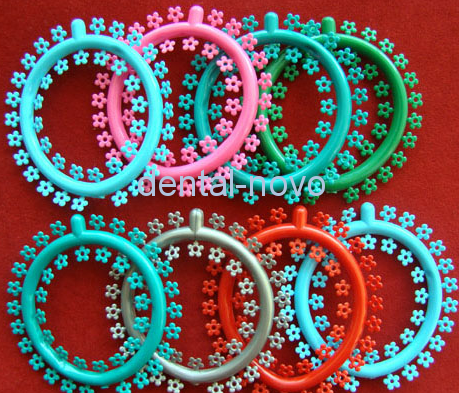 Cartoon elastic ligature ties are the most popular of the elastic ligate. Especially to the children, they are favorable. Each big circle has 40 small rings, 25 big circle per polybag. Total 1000 small rings. Total 23 colors available for choice.